Headless Ken | Barbie Who? The idea for Barbie Who? came to me months ago, and I have been slowly gathering supplies for it since that time. I decided to start blogging now because I finally have enough supplies to complete a character (in theory). In my mind, it made more sense to start recording when I entered the ‘doing phase’ instead of chronically the relatively boring ‘prepping’ phase. To be honest, there is still a lot of prepping to be done before I create the first character, but the time just felt right to start blogging. I hope to have a character done by the end of this month, but I have a few loose ends I need to finish before that can happen. That being said, over the past few months I have been keeping my eyes peeled for any Ken, G.I. Joe, or other similar dolls to use for this project. I will need at least a dozen male dolls, but so far I have zero. It is frustrating because I have seen dozens of Barbie dolls, but never any of her male counterparts. You can see how this causes a problem getting this project off the ground, right? Still, I am keeping my eyes open and my hopes high that my luck will change. If it doesn’t, I will consider other options, such as buying vintage dolls on eBay. To show you the extend of this problem, let me tell you about something that happened last week. While shopping at a local GoodWill, I was rummaging through a toy bin. I was so excited when I saw the feet of a Ken doll poking out. Unfortunately, that excitement ended when I pulled him up and realized he was missing his head. I checked all three bins to see if the head had gone rogue, but I couldn’t find it anywhere. 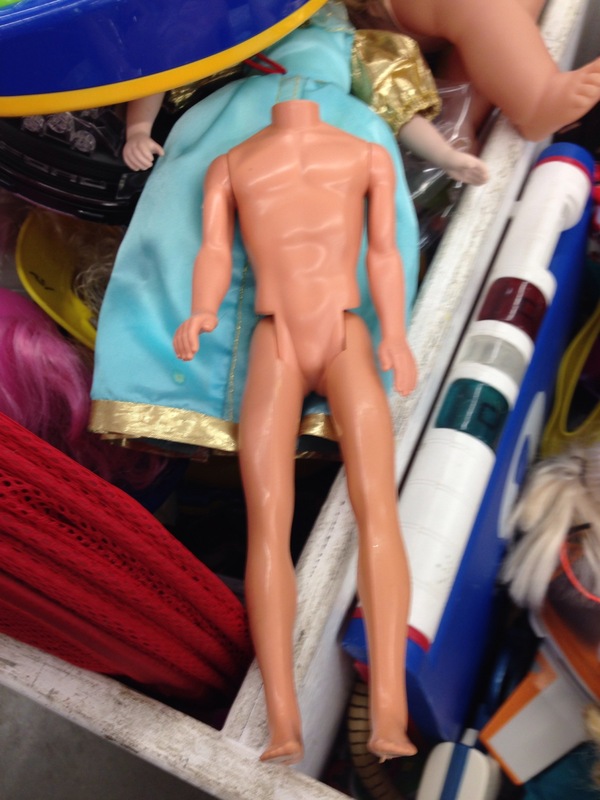 It is just my luck that the first male doll I found would turn out to be headless. Hopefully the next one will be more intact. 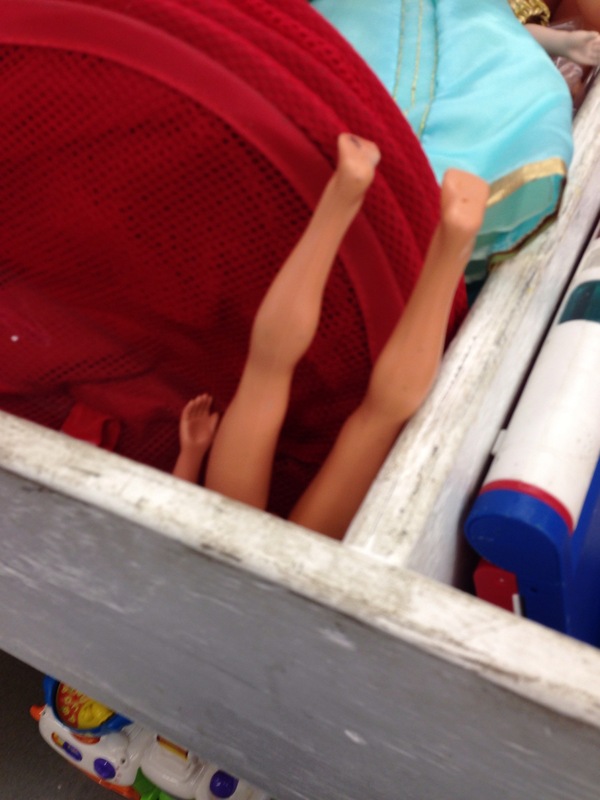 Pingback: It’s Raining Men | Barbie Who?